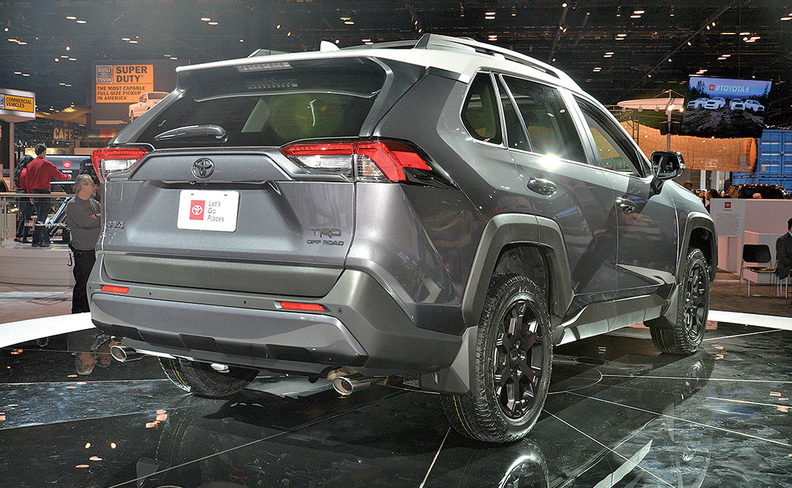 Toyota’s new truck variants include the 2020 RAV4 TRD Off-Road, at the Chicago Auto Show. More Tundras from its pickup plant in San Antonio because another plant can now make more Tacomas, allowing for broader variations and greater improvements in the refreshed 2020 versions. Toyota also is adding variants, including the 2020 Sequoia TRD Pro, which aims to boost the off-road chops of one of the brand’s beefiest SUVs. The upcoming 2020 RAV4 TRD Off-Road finally gives some legitimate off-road bona fides to one of the vehicles that first embodied the phrase “soft-roader” two decades ago, aiming to give even more consumer appeal to what is already the nation’s top-selling crossover. And the Japanese automaker will offer more high-end nostalgia in its light-truck lineup in the form of a limited-run, specially badged 2020 Land Cruiser Heritage Edition. It’s all part of a strategy to strike the light-truck market while it continues to be hot, and doing so -- because Toyota has the resources and discipline to pursue more than one global strategy at a time -- while continuing to invest in its historically strong position in compact and midsize sedans. Tundra, up 1.7 percent to 118,258. Yet Toyota’s top executives still see more opportunity for sales gains. Take pickups, for example, where previous production limitations have placed a governor on sales of both the Tacoma and Tundra. Toyota addressed the problem by building a third Tacoma plant, now ramping up in Mexico. "That will give us some growth opportunities and give us the ability to push Tacoma a little harder," said Bill Fay, senior vice president for operations at Toyota Motor North America. "I think that will add a little more appeal, with more shoppers and more interest in the midsize pickup." And that, Fay said, will allow the San Antonio plant to throttle back on the Tacoma to instead focus on the larger Tundra pickup. "It gives us a chance to push Tundra a little harder," he said. "In the past, if we did that, we had to take it out of Tacoma, and now, we don’t have to do that." 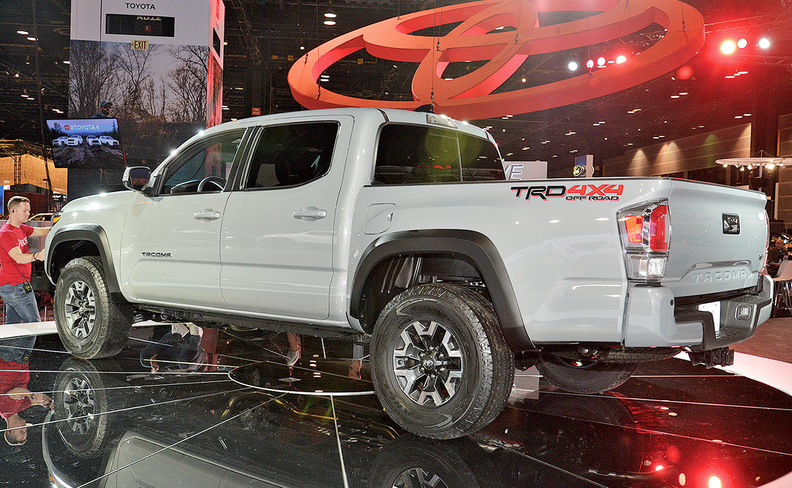 Key to Toyota’s light-truck push is the lift it gets from its TRD performance subbrand. More than 40 percent of combined Tacoma, Tundra, Sequoia and 4Runner sales are TRD packages, said Jack Hollis, head of the Toyota Division for Toyota Motor North America. "On the truck side, our TRD Pro has really been stuff that we’ve been working on over the years that we’ve ... continuously improved over the years to make those products better," Hollis said. "Having a performance brand really allows us to experiment and innovate, and that’s what I get excited about, whether it’s cars or trucks. I see it lifting our brand through performance."